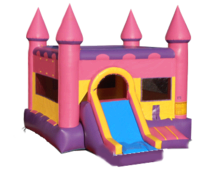 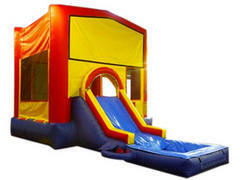 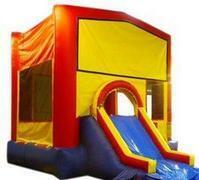 Sacramento Party Jumps has many types of Combo Bouncer Rentals but the one that folks come for the most would be our Standard Combo Bounce House Rental. 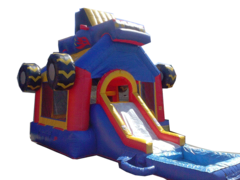 It's obvious to see why; when you purchase a rental for a Bounce House, you usually think about how you can get the most variety out of the Bounce House experience, and the most common conclusion is to attach a Slide. 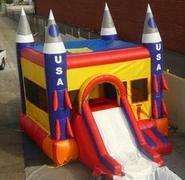 We can do this and more. 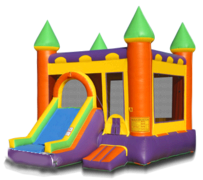 If you want an experience that you, your kiddos, your family, and your friends will remember a combo bouncer rental is the way to go. 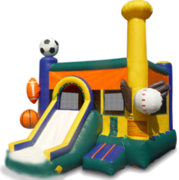 Our Combo Bouncers come equipped with a Bounce Area, Basketball Hoop, Climbing Wall, Slide, and some of them even have a Pool for wet rentals. 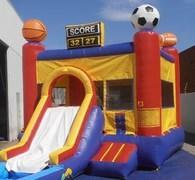 We recommend this type of Bouncer for just about any occasion. 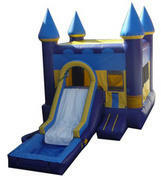 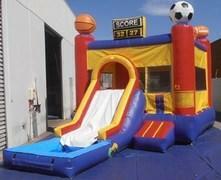 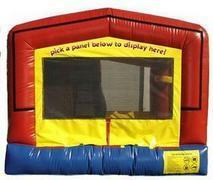 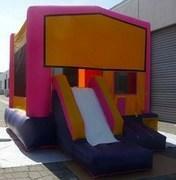 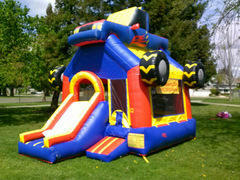 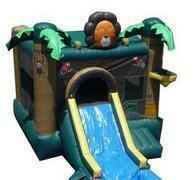 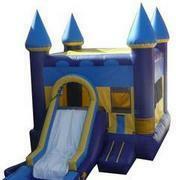 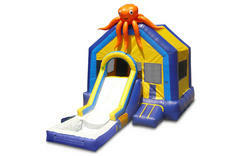 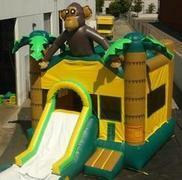 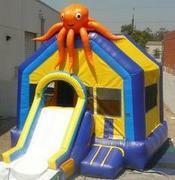 Its great for some Backyard Fun, School Functions, Churches, and also a good addition for a Corporate event. 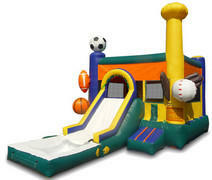 We also carry Medium Combos and Large Combos as well. 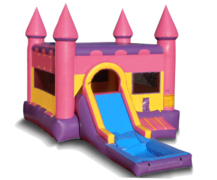 If you have any questions regarding our Delivery Areas or if you would like to browse through our Frequently Asked Questions page "FAQ" please click the links. 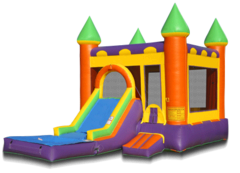 To make a reservation, please feel free to give us a call at 877-916-5867 or take advantage of our easy to use on-line booking. 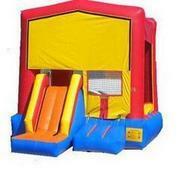 Click any of the Images below to see a full description of the Standard Combo Bouncer you are interested in.